The Boulevard of Chicago invites you to join us for ‘A Celebration of Transformation’, our Annual Gala for 2019! This year’s event, which marks the 25th Anniversary for the agency, will take place on Friday, May 31st, at the Harold Washington Library’s Winter Garden. We anticipate a wonderful evening as we honor the Reva and David Logan Foundation, one of our most committed partners in our work to provide support for people that are homeless. The Boulevard’s Annual Event has grown steadily over the years, and we look forward to yet another highly successful night of festivities, reminiscing, and eagerly anticipating our plans for the future. Please order your tickets now by clicking HERE, or call 773-533-6013 extension 232 for assistance. Interfaith House has become The Boulevard - The Road to Health and Home! Check out this video which shares some amazing client stories. Each year, thousands of men and women without homes are discharged from the hospital with nowhere to complete their medical recovery. That’s why The Boulevard exists - to help people restore their health and rebuild their lives. Originally founded in 1994 as Interfaith House, we are the only organization of our kind in Illinois, and we have helped nearly 9,000 people rebuild their lives. The Boulevard, with a capacity of 64 beds, is able to serve over 300 annually. With your help we can reach so many more. Get involved and join our journey. Do you want to help Boulevard residents with a tax-deductible contribution? Just click here and you will be directed to our donation. Thank you for supporting the life-changing work of the The Boulevard! 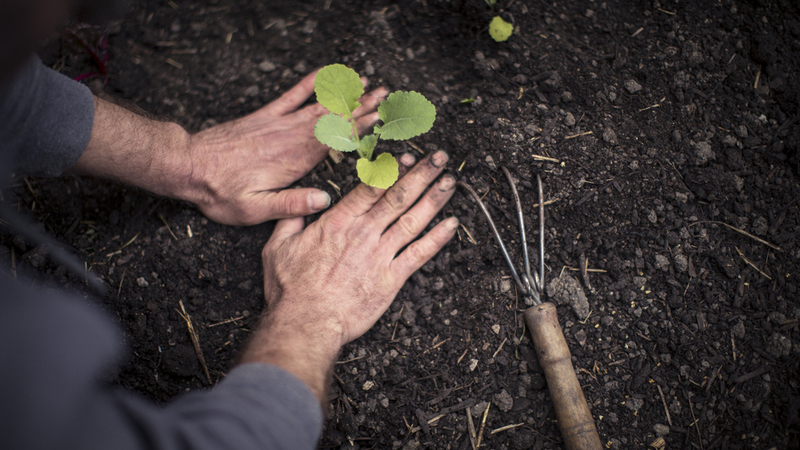 We offer many ways for our clients to rebuild their lives, and to "grow" their potential. To learn more, click here. To join our journey and help build up The Boulevard click here. There are many ways to get involved with The Boulevard!